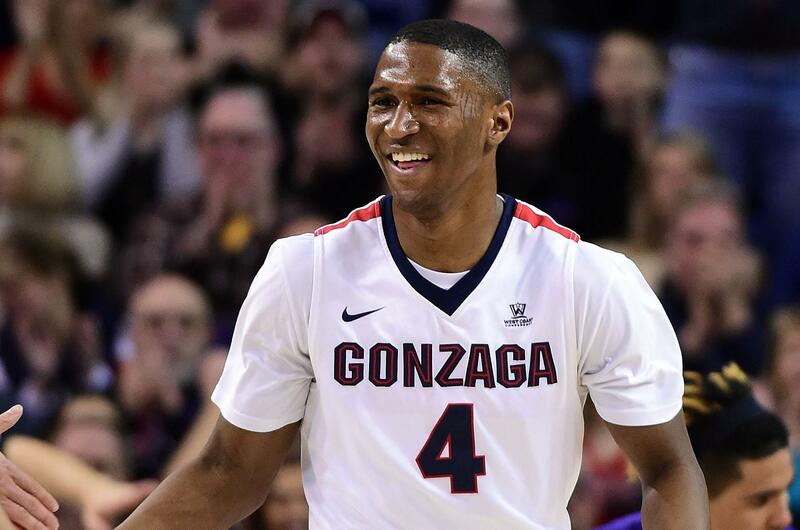 UPDATED: Tue., Jan. 31, 2017, 3:49 p.m.
Gonzaga’s Jordan Mathews was named one of 10 finalists Tuesday for the Jerry West Award, presented annually to college basketball’s top shooting guard. Mathews, a graduate transfer from Cal, is averaging 10.5 points, 11.3 in WCC games, and 3.1 rebounds and 1.5 assists. He’s shooting 39.2 percent beyond the arc and leads the team with 51 3-pointers. Mathews has scored in double figures in 12 of 22 games with a season-high 17 points against San Diego State. Published: Jan. 31, 2017, 10:49 a.m. Updated: Jan. 31, 2017, 3:49 p.m.